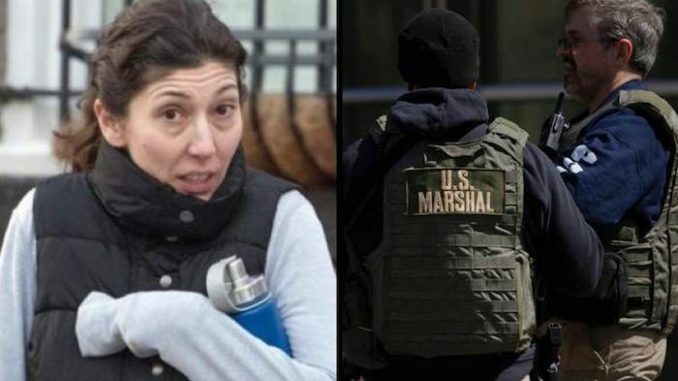 Former FBI lawyer Lisa Page thought she was above the law and decided to ignore a subpoena to testify before Congress regarding anti-Trump texts she sent to her lover, FBI agent Peter Strzok, during the Russian collusion investigation— but then a team of US Marshals showed up. That’s the scenario playing out this week in Washington, as Congress tries to get Lisa Page to testify about anti-Trump texts she exchanged with FBI agent Strzok, with whom she was having an affair. Strzok was involved in the investigation of President Donald Trump over allegations his presidential campaign colluded with Russian officials. Congress issued a subpoena for Page to testify, but she failed to show up for a Wednesday deposition. That prompted Speaker of the House Paul Ryan to threaten Lisa Page with contempt of Congress. Western Journal reports: Not only did Page skip out on the deposition, the mere act of serving her with the subpoena turned out to be anything but procedural. Republican Rep. Robert Goodlatte of Virginia said Wednesday that Page’s attorney initially agreed to accept service of the subpoena for Page, but “then turned around and immediately tried to reject it,” according to Fox News. Goodlatte said lawmakers were forced to call in U.S. Marshals to serve Page with the subpoena. “They had to go back three times before they were finally able to reach her,” Goodlatte said. Lisa Page’s attorney, Amy Jeffress, said her client did not appear Wednesday because she did not have time to prepare, claiming Page had been denied access to FBI files necessary for her to prepare for questioning. “Through her actions and words, Lisa has made it abundantly clear that she will cooperate with this investigation. All she is asking is to be treated as other witnesses have under the Committees’ own rules,” Jeffress said in a statement. In the latest twist in the Lisa Page chess match, Goodlatte said in an interview with CNN Thursday that Jeffress agreed late Wednesday for Page to give private testimony to the Judiciary Committee on Friday. It is interesting when someone who worked with the nation’s top law enforcement agency does everything they can to not cooperate with a Congressional investigation. Even if Page claims she has every intention of being fully cooperative with lawmakers, her actions are not consistent with her words. Friday will prove if Lisa Page truly intends to cooperate… or obfuscate.